What does it mean for employees and employers? To help employers better understand arthritis in the workplace and recognize companies who offer exceptional work environments for their employees living with arthritis, Arthritis Consumer Experts (ACE) runs an annual national advocacy and awareness campaign: Canada’s Best Workplaces for Employees Living with Arthritis. Through a rigorous selection process using wide-ranging criteria, ACE evaluates Canadian companies that apply best arthritis practices. The application process delivers insights to further strengthen Canadian companies’ approaches to creating a more productive and arthritis-friendly work environment by helping employers and employees assess their companies’ awareness of arthritis and support systems for employees living with the disease. 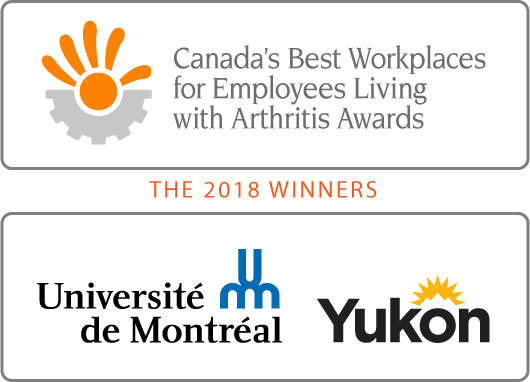 After its fourth annual search across Canada in 2018, ACE has announced the Government of Yukon and Université de Montréal as this year’s winners of Canada’s Best Workplaces for Employees Living with Arthritis award. Based on workplace insights shared by employees and company managers, the Government of Yukon and Université de Montréal stood out for their supportive work environments highlighted by chronic disease awareness, high quality benefits, wellness programs and prevention practices. Commenting on ACE’s Best Workplace award program, managers at the selected organizations shared the view that employees living with arthritis value high quality benefits with strong drug plan coverage and plan sponsors’ responsibility to acknowledge the drug plan’s growing role as a source of insurance for plan members in greatest need. During ACE’s interviews with employers, many reported a large number (approx. over 80%) of employees used their drug plan at least once in the past year. At the same time, many were not clear on the placement in therapy and value of conventional synthetic disease modifying anti-rheumatic drugs (DMARDs), biologic originator DMARDs, biologic biosimilar DMARDs, and targeted synthetic molecule DMARDs for employees living with a chronic disease such as arthritis. “Supporting all our employees to fully participate in the workplace makes for a more engaged workforce and ultimately better service to the Yukon public. That is why the health, safety and wellbeing of our employees is of paramount importance. We provide flexible working hours, a robust benefits program, and workplace accommodations to help our employees safely stay at work and maintain a healthy work-life balance,” said Ms. Pamela Muir, Public Service Commissioner, Government of Yukon. Arthritis typically strikes people between ages 35-50 - in their prime working years. Arthritis causes activity and workplace limitations. Due to increased longevity, reduced physical activity, increasing obesity and lack of timely health care, the burden of arthritis in the population is increasing. 1 in 3 workers have difficulty working due to osteoarthritis; 1 in 136 workers live with rheumatoid arthritis. Arthritis is the most common cause of work disability in Canada, resulting in both poor quality of life and workplace limitations. ACE members have told us their stories about struggling to find the right balance between work, family and personal responsibilities. That struggle involves balancing their workplace responsibilities with the challenge of managing their disease, including symptoms such as pain, fatigue, and stiffness, often with a gradual loss of physical function. 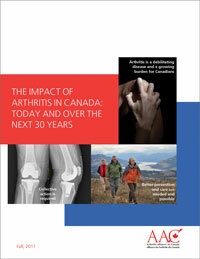 The report, “The Impact of Arthritis in Canada: Today and Over the Next 30 years”, details the cost of arthritis – in both personal and economic terms1. It results in both activity and workplace limitations. Due to increased longevity, reduced physical activity, increasing obesity and lack of timely health care, the burden of arthritis in the population is increasing. Arthritis typically strikes people between ages 35 and 50 – in their prime working years. 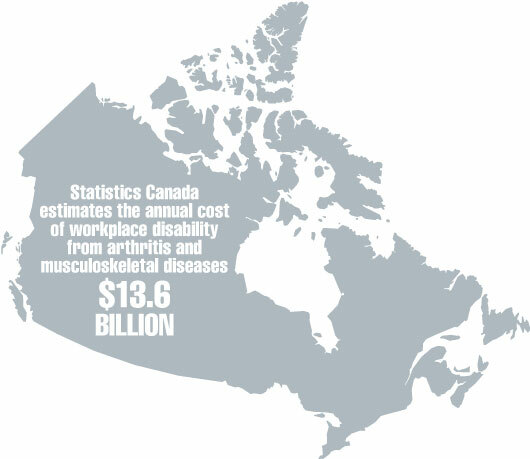 A recent evaluation of the economic burden of illnesses by Statistics Canada estimated the annual cost of workplace disability from arthritis and musculoskeletal diseases at $13.6 billion2. Studies have shown that many people diagnosed with rheumatoid arthritis (RA) are forced to leave the workforce prematurely and earn less than those living without the disease. Other studies have clearly shown that the cost of being present, but less productive, is higher than the cost of being absent, with a workforce survey showing the cost was four times higher than the cost of missed days from work3. Arthritis represents a real challenge to the productivity of the Canadian economy today – and that impact will be felt more acutely in the future. Arthritis directly affects the lives of 4.6 million Canadians but an aging population combined with other factors mean that, by 2040, one in four Canadians will join the ranks of those living with arthritis4. Ten years from now, there will be a new diagnosis of osteoarthritis (OA) every 60 seconds, resulting in almost 30% of the employed labour force (one in three workers) having difficulty working due to OA. In addition, approximately 500,000 Canadians will be suffering with moderate to severe disability due to OA. Over the next thirty years, Canadians living with rheumatoid arthritis (RA) will increase to 1.3% which means that approximately 1 in 136 workers will be living with RA. While arthritis consumers are able to contribute mentally, their joints are in severe pain and they are likely to leave the workforce earlier than planned, including going on disability (18% within five years after diagnosis and 27% within 10 years after diagnosis5). However, employers can work with their employees to create a workplace more favourable to people who have arthritis. Arthritis Alliance of Canada. Standards on Arthritis Preventions and Care. 2003 Website: http://www.arthritisalliance.ca/en/initiativesen/arthritis-standards. Studies have clearly shown that the cost of being present, but less productive, is higher than the cost of being absent, with a workforce survey showing the cost was four times higher than the cost of missed days from work. Researchers at Arthritis Research Canada (ARC) have reported rates of work disability for people with RA, the prototype of inflammatory arthritis, ranging from 25% to 50% at 10 years and increasing to 50% to 90% after 30 years of disease. Studies show that work disability occurs early on in the course of RA, with the greatest loss occurring within the first 1–2 years, followed by a steady decline. The more expensive biologics are used only after failure of traditional DMARDs. In Canada, approximately 10% to 15% of inflammatory arthritis patients are on biologics or targeted small molecule medications. “ACE continues to share with private health insurers and plan sponsors and their advisors how biologics or targeted small molecule medications can improve physical function, pain and fatigue and slow down progression of the disease,” said Cheryl Koehn. Did you know that ACE runs an online education program inspired by many of ACE’s members living with an inflammatory arthritis who have told us they lack the knowledge and communications skills to have full, satisfying conversations with their rheumatologists on topics such as treatment options during their appointments? Dr. Lacaille, what is the Making it Work™ program? Making it Work™ is designed for people with inflammatory arthritis to improve an important element of disease management and one too often ignored by health professionals, namely the management of employment issues. Our program is unique in that it combines the benefit of group sessions focused on improving self-management, with assessments by health professionals specifically addressing employment. The web-based technology for delivering our program is at the leading edge of trends in the field of adult education and self-management programs. It offers a number of advantages for facilitating both learning and program dissemination. Its use for the vocational rehabilitation counselling assessments is a first. It incorporates Telehealth, used by health professionals to provide consultations in remote areas. This strategy overcomes a barrier to program implementation—that of limited availability of vocational rehabilitation counselling in most areas. By preventing work disability, our program has the potential for great cost savings to society and huge personal impact on people’s lives. Who was the program created for? It was created for people with confirmed inflammatory forms of arthritis, who can read and write English, are currently employed, and are experiencing difficulties at work due to the symptoms of arthritis. Yes, we have pilot tested this program and found it was well received; participants were successful in obtaining job accommodations, changing work tasks to better suit their arthritis and remain employed. We are currently completing a randomized controlled trial, where half the people received the program and half are waiting to receive it later, to test whether the program helps people perform their job with less difficulties and prevents people from having to quit their job. We have enrolled all participants (a total of 546 people) and we now have to wait to see the effect of the program. We will be able to start looking at the results in summer of 2019. An on-line e-learning program is an educational program that takes place on-line, using a computer. People complete self-learning modules, on their own, when convenient to them. The modules include slides with information to read, interactive activities allowing people to reflect on their situation, videos where experts discuss a topic, and audio recordings. After each module, people attend a group meeting led by a facilitator, also online, where up to 10 people share their experiences and exchange ideas. We have converted our original face-to-face 5-week program to a web-based format in order to reach a broader audience across Canada and elsewhere, including to remote communities. 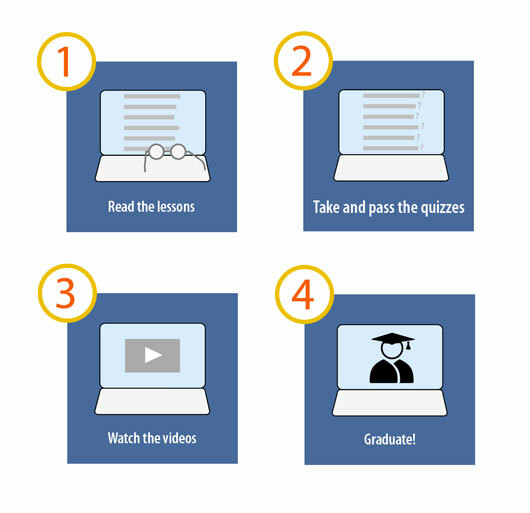 What are the benefits of an e-Learning style of education? This approach is also consistent with recent trends towards a more patient-centred approach to health care. 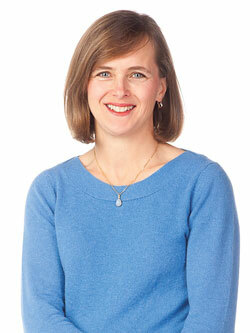 Research has shown that most patients have no difficulty using web-based technologies, including elderly populations. Why was the Making it Work™ program created? 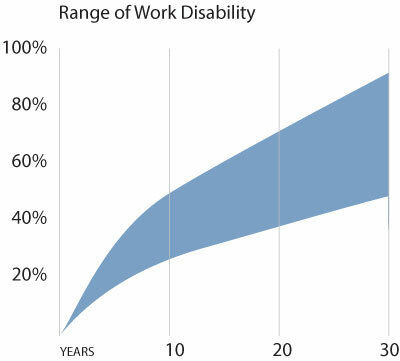 Reported rates of work disability for people with rheumatoid arthritis (RA), the most prevalent type of inflammatory arthritis, are remarkably high, ranging from 25% to 50% at 10 years and increasing to 50% to 90% after 30 years of disease. Studies show that work disability occurs early on in the course of RA, with the greatest loss occurring within the first 1–2 years, followed by a steady decline. Additionally, recent studies have drawn attention to the importance of decreased productivity while at work. Despite the importance of the problem, there has been little study of how we can reduce the impact of arthritis on employment. The arthritis employment literature has emphasized the importance of changing our approach to a preventative strategy and recommends targeting employed people to prevent work disability. How do people enter the program? Currently the program is only available through a study, but we hope to be able to offer it shortly to people living with inflammatory arthritis across Canada. If you are interested in being contacted when the program becomes available, please contact our research team at makingitwork@arthritisresearch.ca.